Waterproofing on smartphones is a fairly new thing, or at least it is as far as mainstream devices are concerned. We’ve seen Samsung and other Android device makers dabble in waterproof handsets for a few years now, with current devices even using their status as bona fide “water resistant” as selling points. And they should, too, because dropping your expensive smartphone into water can be a heart-stopping moment for anyone. The iPhone SE may not be as expensive as some of the flagship devices out there, including Apple’s own iPhone 6s, but that doesn’t mean owners of said iPhones don’t want them to survive the odd dunk here and there. Even making calls while out in the rain can be nerve-wracking at times, and knowing your iPhone can take whatever mother nature throws at it is important. With the iPhone SE, it seems you need not worry. 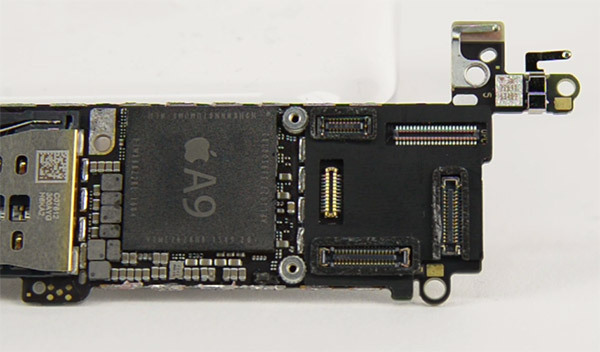 In typical iFixit form, the folks over at everyone’s favorite teardown company have done what they do best, by ripping a brand new iPhone SE apart. What they found was waterproofing that is very similar to that found inside the iPhone 6s and iPhone 6s Plus. You may remember from September that Apple’s current flagship models are essentially kinda waterproof to an extent, even if Apple isn’t willing to advertise the fact. As it turns out, the iPhone SE is exactly the same, with “foamy silicone seals” protecting the handset’s important bits from water. Those bits include both the front and rear camera and volume controls, with the LCD, screen (digitiser), battery, and Lightning connector all also protected. 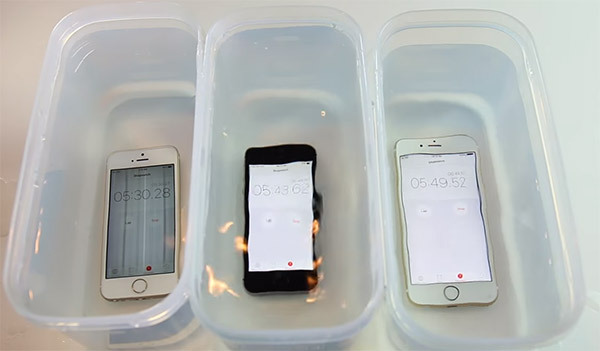 As one YouTube video shows, the iPhone SE is capable of being underwater for over an hour with no immediate ill-effects, just like the iPhone 6s, while an iPhone 5s also used in the video lasts a little over five minutes before dying a watery death. Apple may not want to call its iPhones waterproof, but at this point, it seems they almost certainly are. We wouldn’t want to go diving with one, though! I would just love to know how everyone gets the cash to buy iPhone and androids (many times brand new) at 500.00 a pop or more, and just destroy them?? I mean, what has humanity become where we destroy good tech for “Likes”??? Simply pathetic and sad if you ask me. OK, I take issue with the way he puts the 5S in the container as to let the water seep into the lightning port. While the other two he drops in straight. THEN, while pulling out, the 6S and SE are pulled top first, while the 5S bottom first (again, letting water seep into the lightning port)!